Tasks can also be linked to claims and account receivables. Tasks can be assigned a priority with a due date or tracked the elapse time. 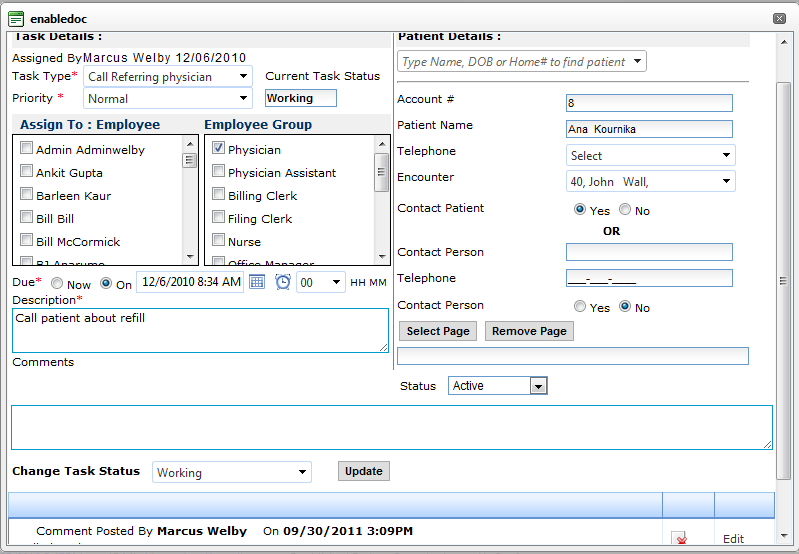 Patient accounts and contact number are added to the tasks for quick access to key information.